Enjoy a 2.5 hour river rafting experience with grade 1, 2 and 3 rapids (can get to 4 when flooding). The duration of the raft can vary, based on ability of how you paddle and how many "swimmers" there are, but we try keep to the time guidelines. 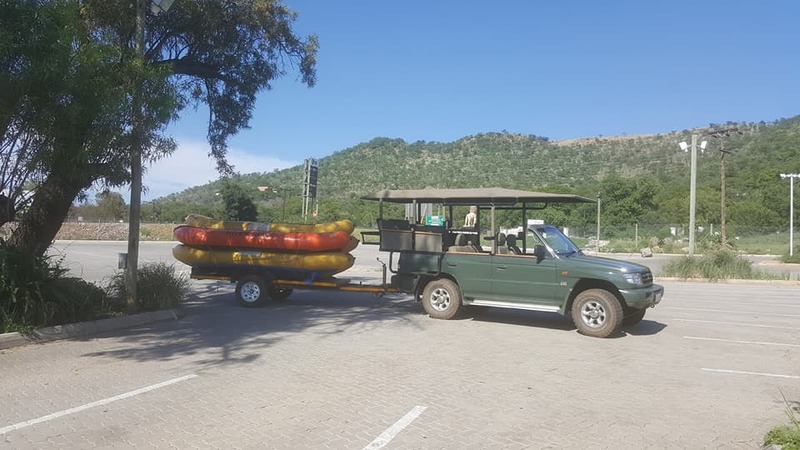 It is the longest commercial rafting trip on the Crocodile River in the area plus you get a stunning drive through the Lion & Safari Park to the put-in site on the river (approximately 20 minutes). A great game viewing opportunity. Experienced and certified guides will accompany you on the river. There is plenty of safe parking at the Lion & Safari Park. 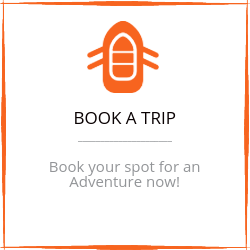 This is a fun trip for families and individuals who enjoy being in nature, love water and don't mind the odd swim. Minimum age is 8, and that is with parental supervision, RapiDecent Adventures reserves the right of final approval. Park in the main parking area of the Lion & Safari Park, we will meet you at the entrance dome. Look out for the game viewing vehicle. During the hot summer months we have a morning trip at 08h30. 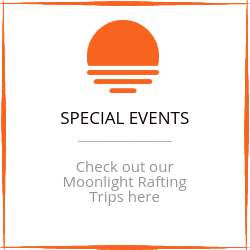 Moonlight rafting trips times may vary and are subject to weather conditions. 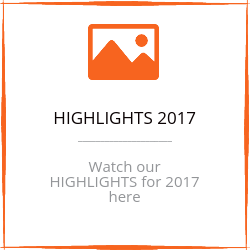 Please check our Special Events Page to see when the next one will be. We depart from the Lion & Safari Park facilities as close to 08h30 as possible, please arrive 15 minutes early for paperwork and any last snacks or extra refreshments you would like to purchase. The drive to the put-in point should take 20 minutes, and what a great drive that is. You see the best of the Lion & Safari Park. Maybe if we are fortunate enough, Zoe, the giraffe, will come say Hello! On the the banks of the river you will receive a 15 minute safety talk, then you set off on your adventure. From the take-out point you will be transferred back to the Lion & Safari Park. The facilities at the Lion & Safari Park are world-class, so please plan to spend some time there, great food and drinks and activities for kids. There is an ATM on site. 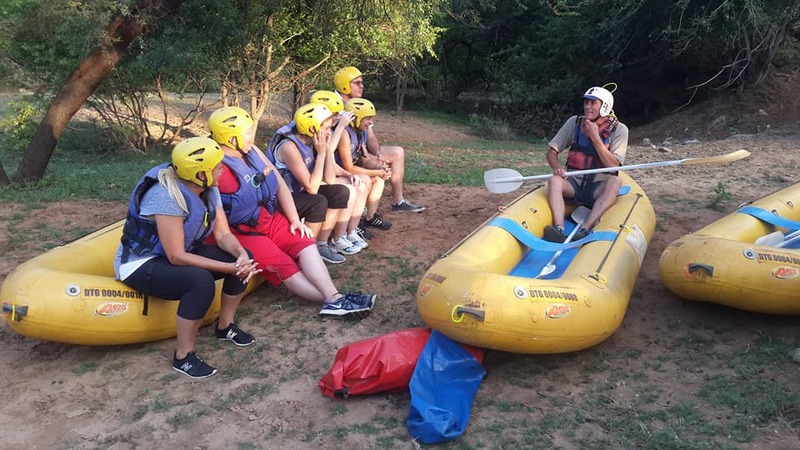 Previous experience would be great however; there is a full briefing and safety talk before rafting starts so don't worry if you have never rafted before. The boats are very stable, and the guides are experienced and have their first aid qualifications, so all the odds are stacked in your favour - let's see how you do. This is a physical activity, you will be required to paddle, carry a raft, walk and laugh, so please do a reality check on your physical ability. We all may think that we will conquer the Crocodile River - but in case the river teaches you a lesson, you may be required to swim a little, please make sure you can swim! 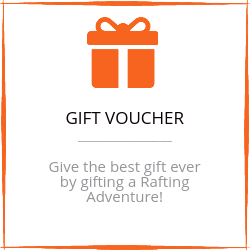 We provide the following rafting equipment - raft, paddles, safety gear (helmet and life jacket). Your dry clothing and towels will be transported to the pick-up point for you – so make sure you pack a bag for this. One refreshment stop (about half way). You are welcome to bring your cellphone along on the trip. We will provide a dry-bag to keep it safe. Clothes that you are happy to get wet and dirty in and will allow you to relax as you enjoy your journey down the Crocodile River. Full payment upon booking and a confirmation email will be sent to you. Please note that Matt or Anneke will be in contact with you as soon after your booking is done, to confirm all details and then only is the booking confirmed. RapiDescent Adventures is the only legal body who will decide if there is any cancellation due to bad weather or any other reason (hangovers don’t count), so you are in for the experience of a lifetime! Full refund due if cancelled within 3 days of event date. During the hot summer months we have a morning trip at 08h30. Moonlight rafting trips times may vary and are subject to weather conditions. Please check our Special Events Page to see when the next one will be.We depart from the Lion & Safari Park facilities as close to 08h30 as possible, please arrive 15 minutes early for paperwork and any last snacks or extra refreshments you would like to purchase. The drive to the put-in point should take 20 minutes, and what a great drive that is. You see the best of the Lion & Safari Park. 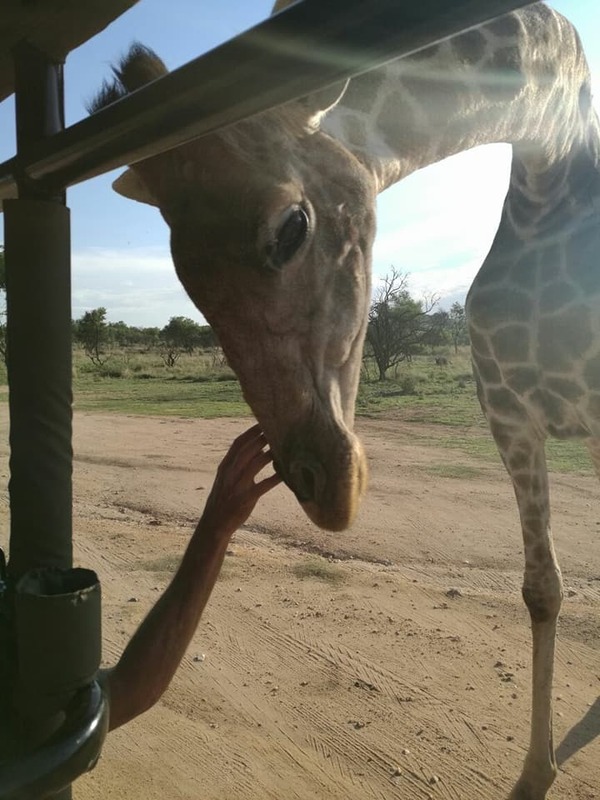 Maybe if we are fortunate enough, Zoe, the giraffe, will come say Hello!